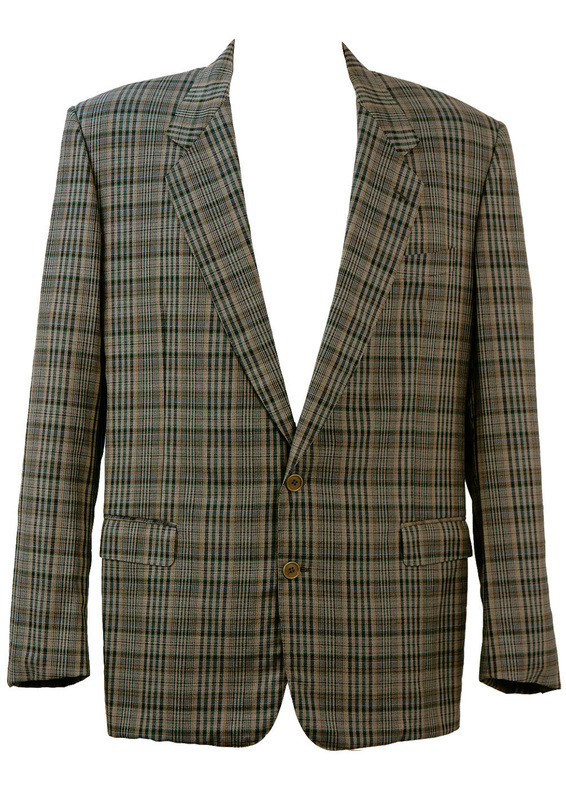 Lightweight Pierre Cardin blazer jacket in a grey, blue and green check with subtle yellow highlights. 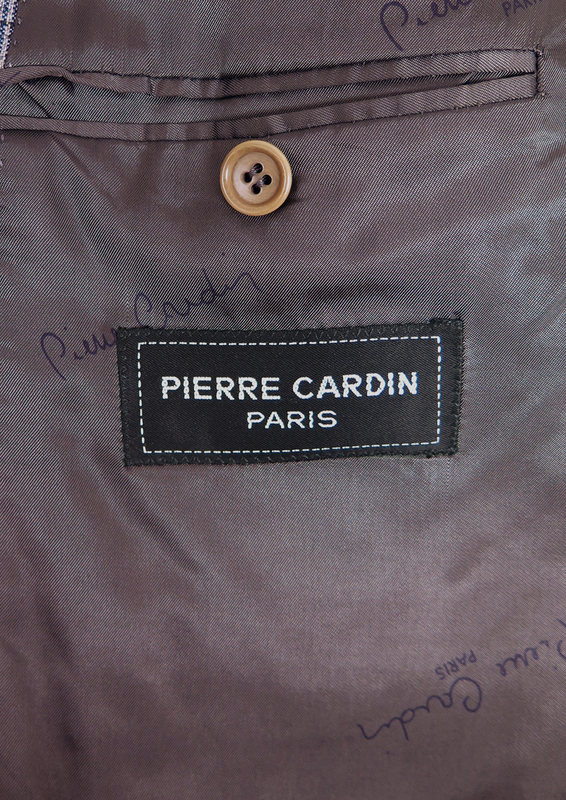 The jacket is fully lined in Pierre Cardin branded fabric. 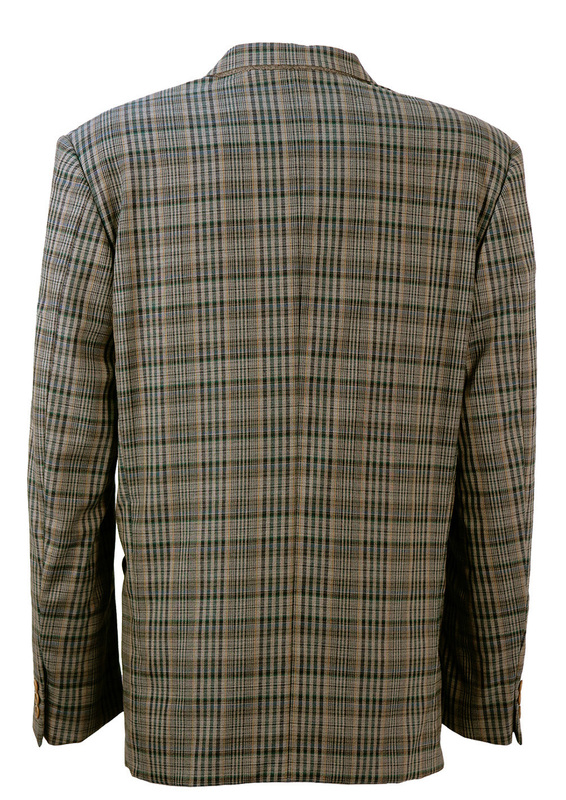 Although there is no fabric label, the blazer has a fine, lightweight wool feel to it. We have sized the blazer as between an XL and XXL. 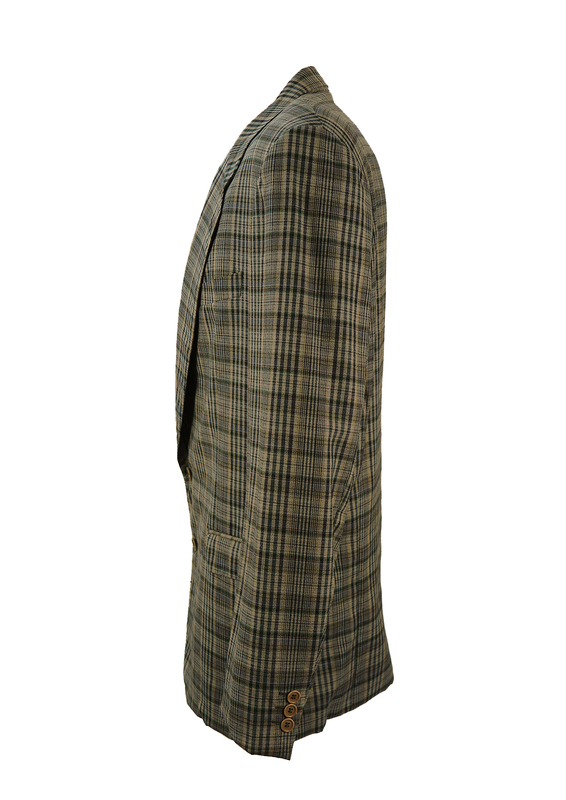 Please refer to our measurements for further sizing information.